This was delicious and will be on our table for Christmas Dinner next week! We are food and cooking TV junkies. We watch all kinds of cooking shows at our house from Diners, Drive-ins and Dives to Restaurant Impossible, and more. The bad thing about that is I’m constantly hungry because we’re always looking at food and it always looks delicious. The good thing about that is we get some great inspiration from the things we see made on TV. 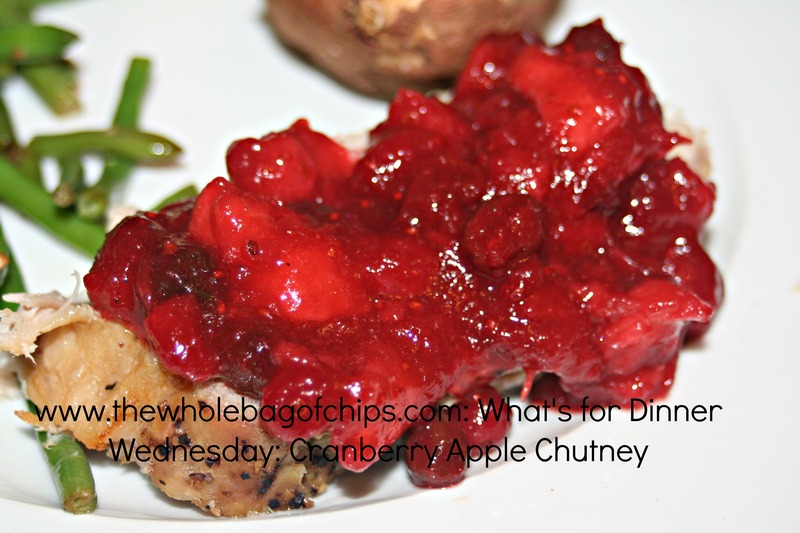 A few weeks back, Don saw a Cranberry Chutney cooked on television. It looked so good that he decided that he too, wanted to make a Cranberry Chutney the next time we had pork for dinner. He bought all the ingredients, throwing in some apples as well, and we planned the meal for the night of our kids’ Winter Recital for Dance. We’d be gone all day and coming back in time for supper. Before we left, Don pre-cooked the chutney and we took a sneak peek at it. It looked delicious and smelled delicious! We took a taste. DELICIOUS! When we came home later that evening, all we’d have to do is reheat it. The pork went into the crock pot and off we went. Sure enough, we came home starving and we couldn’t wait to dig in to that night’s dinner. The chutney Don had made was amazing along side (or on top of) the pork roast. We had sauteed green beans, baked potatoes and homemade applesauce as well. The meal got all thumbs up all around and we’ve decided to have it again for our Christmas Dinner. I can’t wait! I am sharing Don’s recipe with you today, inspired by the many TV shows we watch about food. If you’re looking for something new and different to do for your Christmas Dinner, I encourage you to give this recipe a try! I love how the fresh fruit looks in the pan all together. The colors are so wintry and fresh! Combine all ingredients in pan. 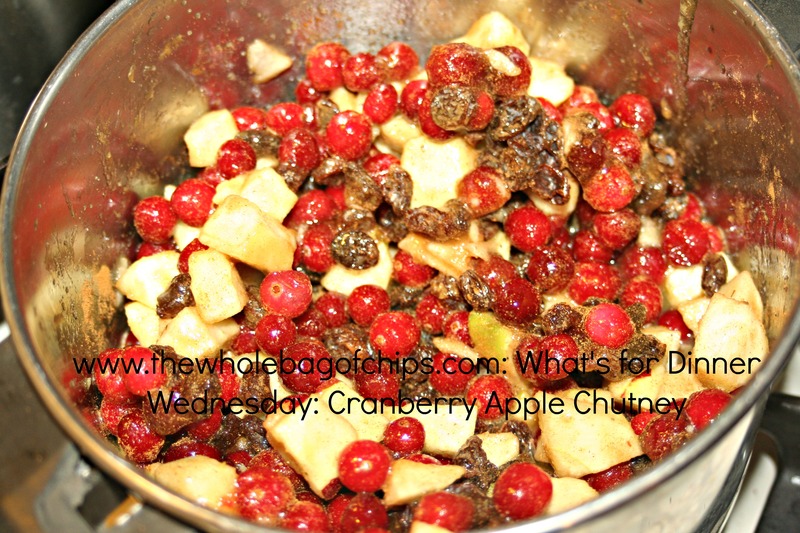 Cook on top of the stove until cranberries begin to pop and apples have softened. Orange juice should reduce down.